Elisabeth Kubler Ross said, “The most beautiful people we have known are those who have known defeat, known suffering, known struggle, known loss and have found their way out of the depths. These persons have an appreciation, a sensitivity, and an understanding of life that fills them with compassion, gentleness and a deep loving concern. Beautiful people do not just happen.” Join us today for a discussion on those life trials that rip our very hearts out, and how they can also be the stepping stones to our depth and beauty. Stay with us to talk about the hard stuff and why it makes us beautiful. Stories are our lives in language. 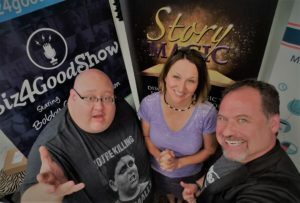 Welcome to the Love Your Story podcast. 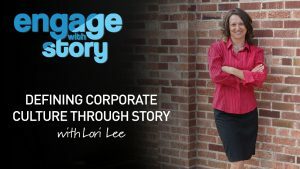 I’m Lori Lee, and I’m excited about our future together of telling stories, evaluating our own stories, and lifting ourselves and others to greater places because of our control over our stories. 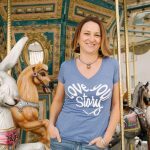 This podcast is about empowerment and giving you, the listener, ideas to work with in making your stories work for you. 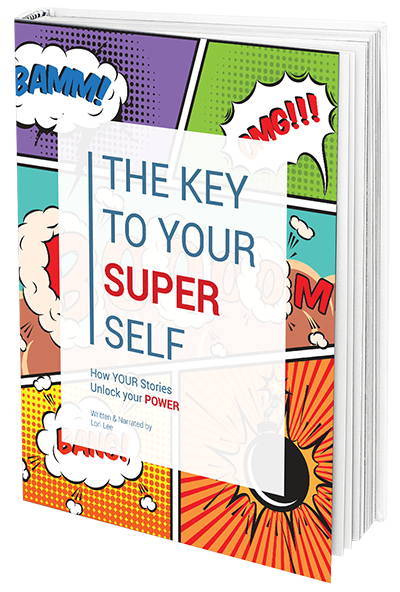 Story power serves you best when you know how to use it. One thing I’ve come to understand over the years is that all people experience adversity. The ravages of life spare not race, religion, gender or geographic area. Trials, disappointments, sickness, sadness, heartbreak, and loss are all a part of life for everyone, no matter who you are. It’s part of the whole deal: death, taxes, and trails. You can’t escape any of them. But, we do get to decide how we process them; what we do with them; who we become because of them. Adversity is a bag filled with variation. Trials may come from choices we make that then make our lives harder, like an unwanted teen pregnancy, or an addiction. Trials may come from choices others make that affect us like a spouse who cheats on us, an unscrupulous business scam, or abuse. Adversity may come upon us, such as an illness or death of a loved one, things that are a part of being mortal. We usually get a spattering in all three categories. We all have far more in common than we often stop to realize. There is that familiar saying about being kind to everyone because you never know what they are going through, no matter what it looks like on the outside. Probably a good idea! From a story perspective, it’s an uneventful story that doesn’t have tension, climax, and a hero who must decide how to engage in the battle. One of those heroes we all know – Christopher Reeve, said, “A hero is an ordinary individual who finds the strength to persevere and endure in spite of overwhelming obstacles.” He was a super man, wasn’t he?! Today I want to share a story with you about a little girl known affectionately as Lady Bug. I know this little girl personally. Her parents are real estate clients of mine, and her grandparents live next store to me. I’ve watched her run around my backyard with her cousins. She’s a real life story with her cute little glasses and her joy for life. Rylie was born in May of 2012. The first few months of her life were filled with happiness and sleep deprivation for her parents – all the normal stuff. Her mom and dad were completely in love with their beautiful baby girl. Two months later, at a well-baby check-up, they asked the pediatrician to take a look at the numerous “birthmarks” that were appearing all over Rylie’s body. The Dr. took a look and then left the exam room to make some calls. When he returned he told the nervous parents that he suspected their brand new baby daughter had a genetic condition called Neurofibromatosis. He referred them to a geneticist at Primary Children’s Hospital and told them NOT to Google anything. Shocked and dismayed, they went home and waited for the hospital to call them back. When the hospital called they told them the wait time was over 6 months to get in. Furious, terrified, completely sad, they turned to the internet anyway to find what answers they could, and the pictures they found terrified them. The happiest time of their lives had just turned into the worst time of their lives. The next few months were a blur of doctor appointments, specialists, waiting….so much waiting. Waiting to see if their baby girl developed a tumor. The uncertainty killed them, the waiting killed them, the sadness overwhelmed them. The doctor visits ripped their hearts out. No one could give them any answers. In February of 2014 Rylie was having a routine eye exam, and her mom knew something was wrong. “How in the hell am I going to get a toddler to wear glasses,” she thought to herself. “It seems trivial now,” her mom says. Especially when we found out that Rylie was growing a tumor on her optic nerve. They were rushed over to the Moran Eye Center for more tests and scheduled for an MRI the next morning. The next 24 hours were a complete blur. They were terrified to hear the MRI report, but deep down they knew what they were going to hear. They had known it was a possibility, but now it was actually happening. And it scared the hell out of them. The next morning the doctors confirmed that their 19 month old daughter had two tumors growing on her brain. She was officially diagnosed with Bi-Lateral Optic Nerve Gliomas. They were told to expect a call from the oncologist. What!??? Another punch to the gut. An oncologist meant chemotherapy…. They were so scared they couldn’t even ask questions, they just said okay and hung up the phone. A week later they met with an oncology team at Primary Children’s Hospital- – every option seeming so unfair! She wasn’t even 2 years old and the things they were talking about were things her mother didn’t think she could even handle as an adult. “She’s just a baby!” kept running through her mother’s mind. Ultimately, two days after her second birthday Rylie began a yearlong chemotherapy protocol. It was the longest and hardest year of their lives. Riley’s disease ruined the picture perfect dream life they had imaged. The year she went through chemo broke them down day after day. It took their world and it turned it upside down, made life a constant battle. They worry every time she complains of pain. Their hearts sink thinking it may be another tumor, a tumor they will be powerless to stop. NF took control of many parts of their life; financially, emotionally… their “normal” routine is anything but normal. Brandie, Rylie’s mom said, “NF has made certain parts of our life very difficult and hard to swallow but it has also made things so amazing. It has helped us find joy in the little things…. the everyday things. We found joy in the first time Rylie learned to take her medications by herself. We found joy when Rylie started preschool. We found joy in going to the grocery store- together as a family after being locked in the house for a year. We find joy in watching her be an everyday kid. We’ve learned that life is messy BUT it’s a blessing and we have to enjoy each and every moment we are given! When the questions of “Why me? I don’t deserve this.” And “This is so unfair,” are the mantras repeating in our minds we are lapsing into victim mode. We have the choice to complain and become bitter. That’s definitely one approach—easy and often justified, but these questions have the power to dominate our minds. They absorb our energy and our vision and our story begins to spiral into a place of darkness. That’s the only place it can spiral to. Another approach, which is often much more difficult, but so much healthier, is to ask different questions. To ask the questions like, “What can I learn from this? What action can I take from this point to creating meaning? What am I to change?” “What are my blessings today?” This is the crux of reframing a story. I feel like this is what Rylie’s family did. They found the value of the small and meaningful things. They found the gift hidden in the nightmare. Our stories are created by the events that go on around us, certainly, but the power we give those events in our minds is where the stories become either tragedies or heroic tales of fighting through the fire swamp and overpowering the ROI – rodents of unusual size. This is the space where the dark side takes over, as it did with Anakin in Star Wars, and Darth Vader is created, or where one overcomes the injustices inherent with adversity by using them for transformation and learning, or finding the gift in the struggle. It’s not always something you can find right away, and that’s okay. I don’t think it’s reasonable to expect that we won’t feel our fear, disappointment and sadness and just jump right up with a positive attitude to win the day. 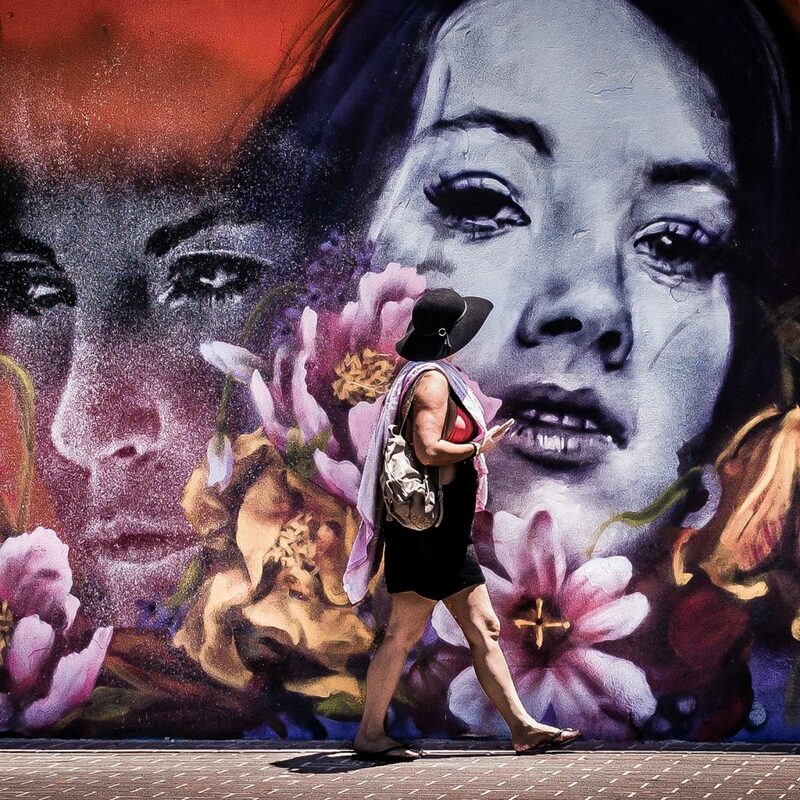 Traumatic events are by nature, events that take us to the brink of our human capabilities, but in the end, it is up to us how they become translated. Different adversity requires different response. For example, when we suffer from the actions of others the healthy response requires broadening of our perspective to understand another and the often difficult task of forgiveness (check out episode 05 for thoughts on forgiveness). A death or an illness may require faith in purpose, patience in suffering, and strength in finding meaning. If we create our own pain and suffering we get to have the strength to change our behavior and live in ways that don’t create misery. If we are abused we must seek help. I grew up in a loving, Christian home. We went to church every Sunday, and at that time it was implied that if we lived good lives and followed the commandments of God that our lives would be happy and safe. There was the happily ever after painted of joyful marriage and family, and all that was required was to live well and follow the commandments and ritual prescribed by the church and all would turn out rosy. It could have been my misunderstanding or the deep desire of the young women leaders to get us all to live good lives, that these false promises were made, but I had quite a time coming to grips with them as my life progressed and things didn’t turn out that way. I had to learn an important point as taught by Carlfred Broderick, a former professor of sociology and head of the marriage and family therapy program at the University of Southern California, who received his degrees from Harvard and Cornell. A member of the Church of Jesus Christ of Latter Day Saints, he wrote an essay on the Uses of Adversity. He says, “The gospel of Jesus Christ is not insurance against pain, it is the resource in event of pain, and when pain comes…rejoice that you have the resource to deal with your pain.” When there are no earthly answers, when our understanding is stretched beyond its limits, when mortality is simply too much for us, there is hope in the atonement of Christ and faith in him. While this is a non-denominational podcast, meant to inspire and empower people no matter their religious beliefs, I must bear testimony that the atonement of Christ plays two roles, one in wiping away the mistakes we make so that we can start fresh and walk away from the ugliness we often create in our lives –it’s like taking the stones of guilt and shame out of the backpacks we carry around accumulating life experiences; and the second is in the power of his atonement to give us power beyond our own to keep standing up, to keep trying, to enable us to be more than we are alone when the ravages of this thing we call life knock on our door. I’d like to suggest an equivalent for other belief systems, but there simply isn’t one. The atonement of Christ is the only power by which those things are given. So, I recommend them, because having a source of cleansing ourselves gives hope and propels us forward. The lightened load keeps us from sinking in the swamps of despair. It’s a gift and another beautiful tool given by a God who loves us. Simon Sinek said, “The most important thing to do before we die is live.” I could use this quote in almost any of my podcasts because it applies across the board to every topic. But I think it applies to this topic beautifully because times of trial are times when living is the hardest. It’s these hard, uphill climbs when we often want to stop – sit down on the metaphorical trail or jump off the cliff. I’ve had moments where I could not see any point in going on. I’ve had times I wanted the whole darn thing to be over with. But I’ve come to realize, that like it or not, living is a collage of beautiful moments, staggering pain, ah ha moments, fleeting peace, uncertainty, fear – in all its forms, accomplishment, joy, love, hate, anger. The woven fabric of our lives contain colors that range from deep purples and brilliant reds to mustard yellows and deep, dark blacks. We don’t see the design in the living, but I believe God does, and I’ve lived long enough now that when I look back I start to see some of the design in the woven pattern of my life, and it’s pretty darn gorgeous! One day I was rafting down the mocha waters of the Colorado river. It was like a postcard. The sky that bright, rich blue with a few perfectly placed, fluffy, white clouds that dot and give dimension. The J-rig (a style of boat) I lounge on, puttered down river and I sat facing backward, watching the waterway expand behind us between the layers of tall, red, western cliff walls rutted and shaped by the desert, brilliant in stark color. We went, mile by mile, hour after hour, and the time was a luxury allowing me to pull out a reading book, a pen, and paper with which to write. We passed another raft, the guide pushed and pulled at the oars as the umbrella-protected couple sleeps. This is the Venice of the West. Our gondola man wore a black cowboy hat, a beard, and the grin of the young. He lied up a storm, making up facts about history, geology, failed oil projects, and his personal theories on past civilizations. If there is one thing river guides are infamous for, it is their gift for making up the details and coloring the truth with the same rusty red that colors these Utah rocks. Cowboy (the name I’ve given our guide) sleeps on his cooler during the lazy water stretches, his tan legs sprawled in devil-may-care fashion. The entire picture makes me want to write, the weather is great, wish you were here. Instead, I look at my chipped toenail polish, think about how I need to pee, and wish that my camera could capture this scene. As I float beneath the majestic cliffs carved by the river I notice the process of carving that is constantly taking place along the cliffs. Chunks of rock crumble and fall as the water cuts and shapes, more stone is revealed as the water digs deeper, removing more dirt. The canyons become broader, deeper, revealing more as the detritus is washed downstream. And isn’t that a lot like life? Sending you my love for all your hard stories. And my hope that you’ll find the gifts in the nightmares, the beauty in the carving, the pattern emerging in the tapestry of your life. No matter how messy it looks from your current perspective. Keep hope and share the stories that bring hope to others. 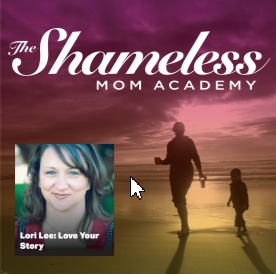 Love to hear from you on our website…www.loveyourstorypodcast. Please head over and share your stories, ideas, thoughts, concerns and suggestions.